“Inflatables in the Bay” program will return to Avalon with a few additions in June 2018. AVALON — Avalon’s City Council, on Feb. 20, approved the placement and authorized the purchase of three additional inflatable pieces for the South Beach inflatable structure, called “The Cliff,” and a new two-piece structure on Middle Beach, consisting of a “base” and “slide.” The “Inflatables in the Bay” program was introduced during June of 2017 and became a favorite with local and visiting children alike. The city is expected to spend about $7,980 on the inflatable structures, which are manufactured by Wibit. In all the new “Inflatables in the Bay” program would take up an additional 30 feet of surface water – 10 feet at the South Beach location and 20 feet at Middle Beach. In April 2017, a five-piece inflatable play structure was approved to be placed on South Beach. At this time, an additional smaller inflatable play structure proposed to be placed on Middle Beach. The smaller structure was geared toward younger children, but there were some reservations at the time due to concerns about how it might affect the harbor. The play area was debuted in June of 2017 at part of the Kid’s Day in the Bay event, which also included water polo, standup paddleboarding, kayaking and other waterfront activities for children to enjoy. “City Council did approve the addition of one inflatable piece to the existing structure at South Beach and a smaller two-piece system on Middle Beach geared to the younger children,” Dan Huncke, Community Services Director for the city of Avalon, told The Log. A city staff report to council members stated trained staff would monitor the “Inflatables in the Bay” program. Capt. Steve Powell, head of the Los Angles County Lifeguards, was reportedly contacted about the “Inflatables in the Bay” program and would revise his staff patterns to better handle the demand of the floats and inflatables, city staff stated in its report to council members. Over the course of the summer in 2017, minimal injuries and issues were reported with lifeguards reporting just two injuries – a bloody nose caused by a knee and a shoulder injury to an adult. Signage posting the rules, with input from County Lifeguards and PARSAC, were placed in visible locations. The rules prohibit: throwing or skipping rocks; jumping or swimming opposite of the swim line; pushing or shoving on the floats or inflatables; and, other rules in association with Kid’s Day in the Bay. Lifeguard on-duty hours are also posted. The play area will return to the waters the first weekend of June, coinciding with the 2018 Kid’s Day in the Bay event and the arrival of the Los Angeles County Lifeguards. 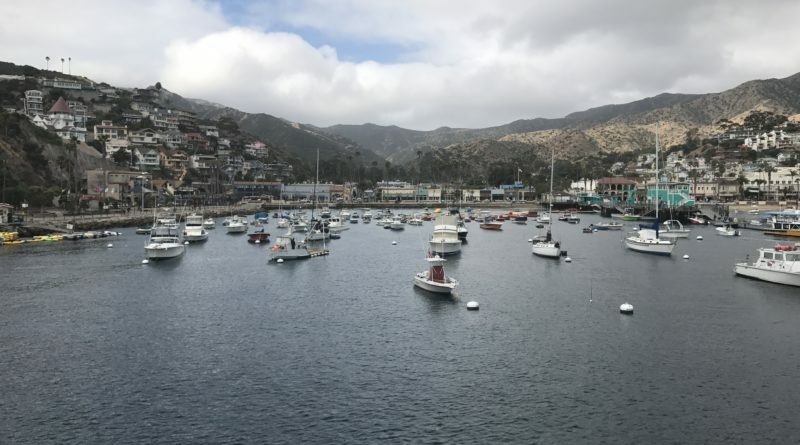 Boating activities in Avalon Harbor would be able to continue without interference from the “Inflatables in the Bay” program.